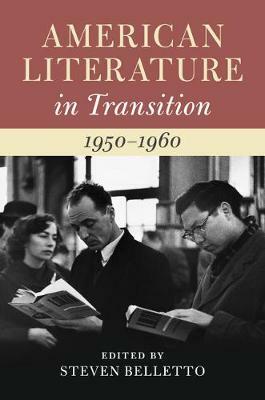 American Literature in Transition, 1950-1960 explores the under-recognized complexity and variety of 1950s American literature by focalizing discussions through a series of keywords and formats that encourage readers to draw fresh connections among literary form and concepts, institutions, cultures, and social phenomena important to the decade. The first section draws attention to the relationship between literature and cultural phenomena that were new to the 1950s. The second section demonstrates the range of subject positions important in the 1950s, but still not visible in many accounts of the era. The third section explores key literary schools or movements associated with the decade, and explains how and why they developed at this particular cultural moment. The final section focuses on specific forms or genres that grew to special prominence during the 1950s. Taken together, the chapters in the four sections not only encourage us to rethink familiar texts and figures in new lights, but they also propose new archives for future study of the decade.